This resort is on the mainland. Easy access to several beached and no need to take a boat to get to town. Friendly service with a smile. 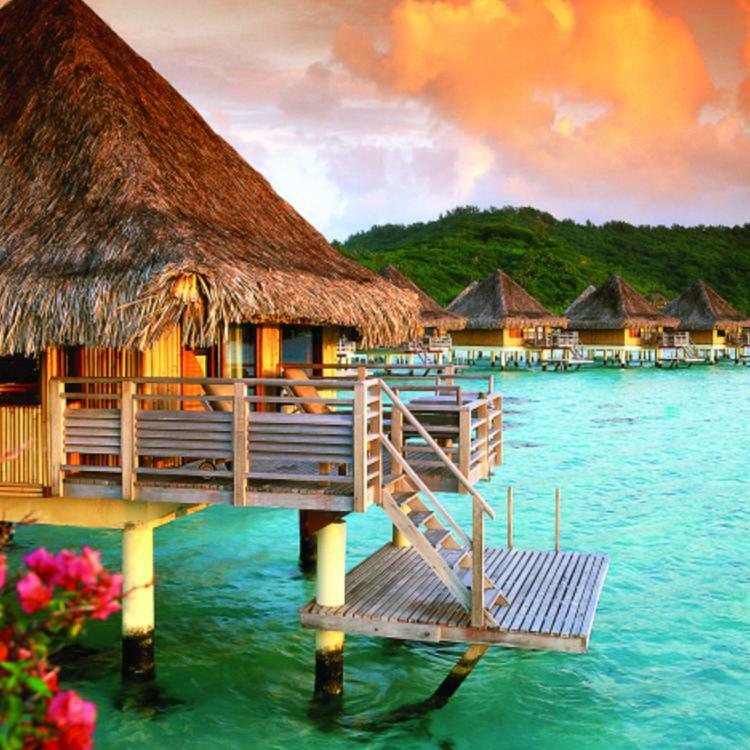 Situated on a private white sand beach, on the edge of one of the most beautiful lagoons in the world, Sofitel Bora Bora Marara Beach Resort Hotel elegantly harmonizes undressed wood with contemporary style, offering an authentic and colourful Polynesian atmosphere. Just two minutes by private shuttle, the Sofitel Bora Bora private island invites you into the heart of wild and preserved nature. A unique botanical garden with a 360° panoramic view of Bora Bora’s lagoon and a luxurious sunset. Set against the backdrop of mountains and tropical gardens in the Bora Bora Lagoon, this upscale resort is 2 km from the beach at Matira Point and 8 km from Bora Bora Yacht Club. Chic, thatched-roof bungalows and villas feature hardwood floors and terraces and offer free Wi-Fi, flat-screen TVs and tea and coffeemaking facilities; some have sofabeds. Over-water bungalows come with direct sea access and outdoor showers, while villas include Jacuzzis. There’s room service 24/7. Breakfast is complimentary and is served in the elegant open-air restaurant. Other amenities include a chic bar, a spa and an outdoor pool. Bike and kayak hire is available.